What would the holidays be without some bubbly with friends, or a Manhattan after dinner, or your annual glass of eggnog, or one glass of wine too many at the office party? 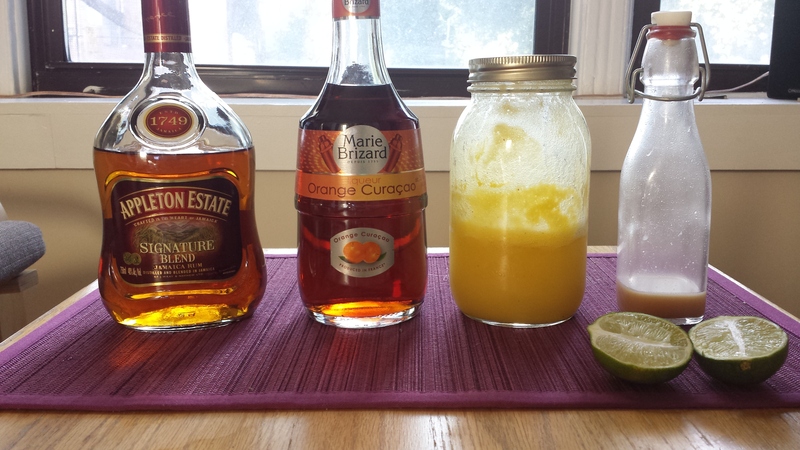 I enjoy a good cocktail any time of year, but there’s something extra special about mixing up an old standby—or experimenting with new ingredients—during the holiday season. And if you have friends or family who partake, you can never go wrong by giving the gift of good alcohol. When you’re someone who enjoys a good cocktail, it’s nice having like-minded cocktail-loving friends. Who else can you geek out with about things like the best sweet vermouth for Manhattans or how to serve a delicious punch without killing severely intoxicating your guests? Sarah—who writes a great book-review blog over at Reviews for No One—is one of those friends. When she posted a delicious-looking gin cocktail on Instagram a few weeks ago, I immediately thought GIMME, and then figured it’d be a great candidate for the blog. She gamely agreed to write a guest post, and here we are. Take it away, Sarah! It’s almost October, but in the Midwest that means we’re feeling the last wispy breezes of summer. 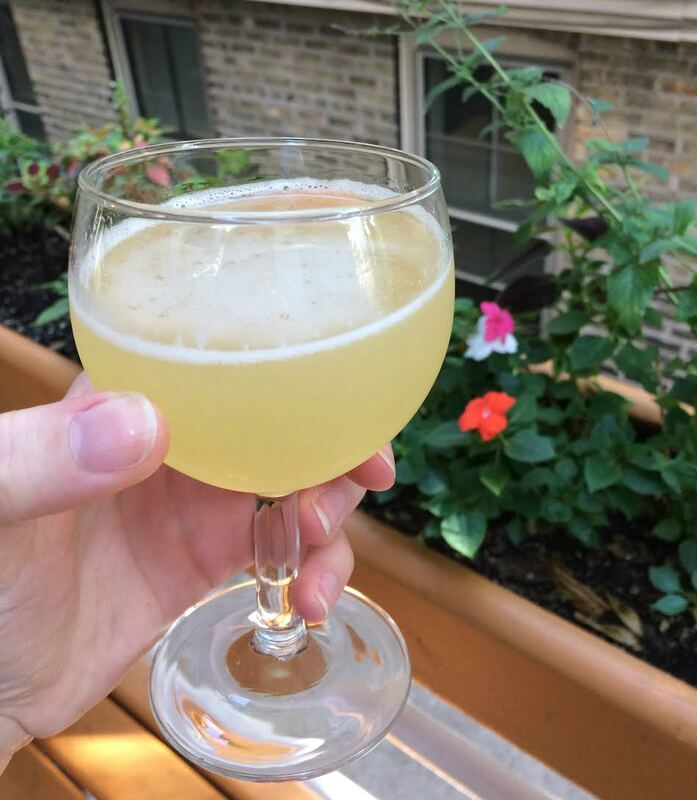 So on a recent 80-degree day, I took it as a sign that it was time to make my favorite gin drink one last time before it’s full-blown sweater weather: the Bee’s Knees. Technically, it’s not specifically a summer drink. It’s yet another classic Prohibition-era cocktail that went from the forgotten drink of flappers to working its way into almost every Logan Square (read: hipster) bar opening these days. It also happens to be one of the easiest drinks to whip up at home. But gin in general just screams SUMMER to me and with the punch of citrus in this drink, it has porch sippin’ written all over it. I favor simple, straightforward cocktails—the fewer ingredients the better. And the Bee’s Knees is just that. 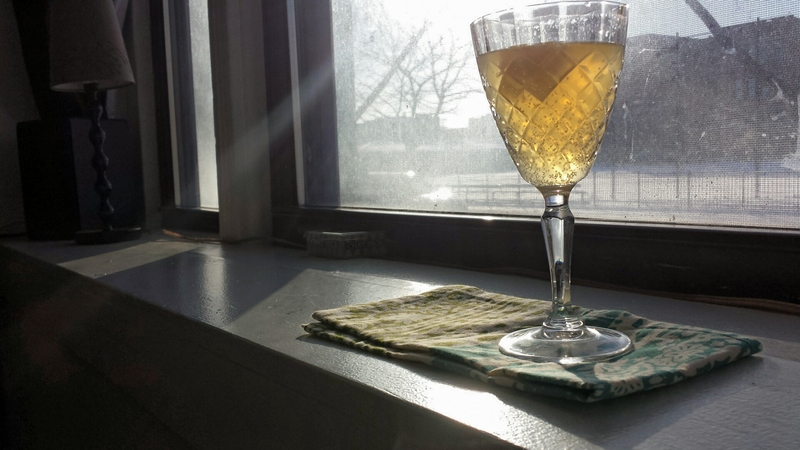 It pairs the bright, botanical notes of gin with the tartness of lemon juice plus a little honey for sweetness. That’s it. Just three ingredients, two of which are probably already in your kitchen right now. That means all you really need to worry about is what kind of gin to use. 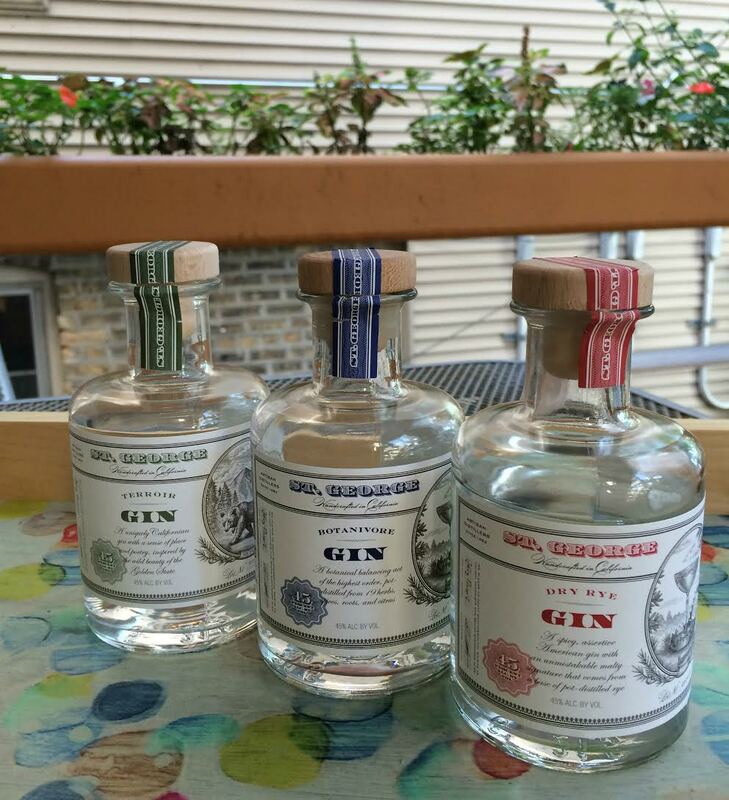 My sister got me this sweet little three-pack of St. George gins for Christmas and I have had a fantastic time playing with them! 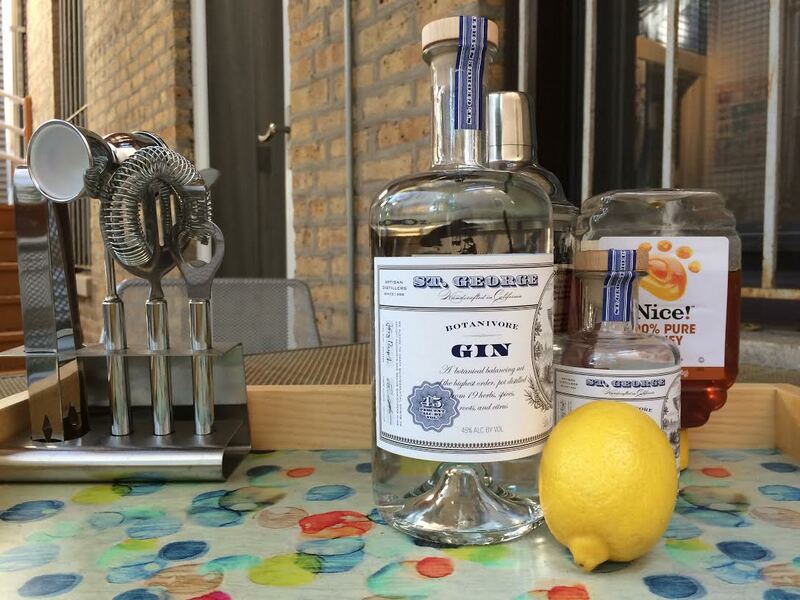 St. George’s comes in Terroir, Botanivore, and Dry Rye. The Terroir is that classic juniper-forward flavor, while the Dry Rye is spicy and oaky (hot tip: sub it in for your whiskey in your next Manhattan—it’s fantastic!). But the perfectly balanced Botanivore won out in the end. Pour all ingredients into a shaker filled with ice, and then shake vigorously for 20 seconds or until the drink is chilled. Strain into a coupe glass and voilà! “But,” you might say, “where do I get honey syrup?” Easy! It’s just like simple syrup—equal parts water and sugar—only you swap the sugar for honey. However, there’s no need to make some giant pot of the stuff just so you can stuff it in the fridge and forget about it. Instead, pour about 1 tablespoon each of honey and water into a small bowl. Microwave for 10–15 seconds, and stir until thoroughly combined. Then you can pop the bowl with your single-serving sized bit of honey syrup straight into the freezer while you gather your ingredients and juice your lemon. A couple of minutes cools it off enough to stop it from affecting the flavor and temperature of the rest of your ingredients. Aaaaand my mouth is watering. Thanks for sharing, Sarah! Lately, Q Ginger is hands down my go-to mixer. Have you tried it? 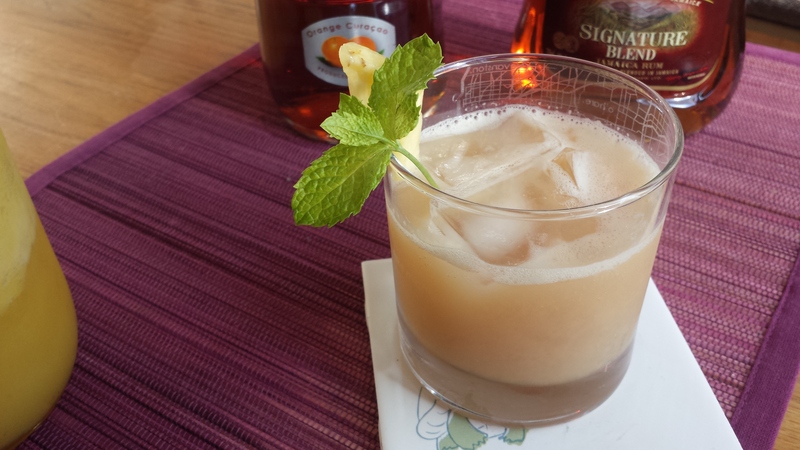 It’s the ginger-lover’s ginger ale, delivering an earthy bite without the coughing fit that comes with some of the bolder ginger sodas out there. I almost always have a bottle in my fridge to mix with gin and a little lemon or lime, or vodka and lime if I want a makeshift Moscow Mule. (Note to self: BUY COPPER MUGS). 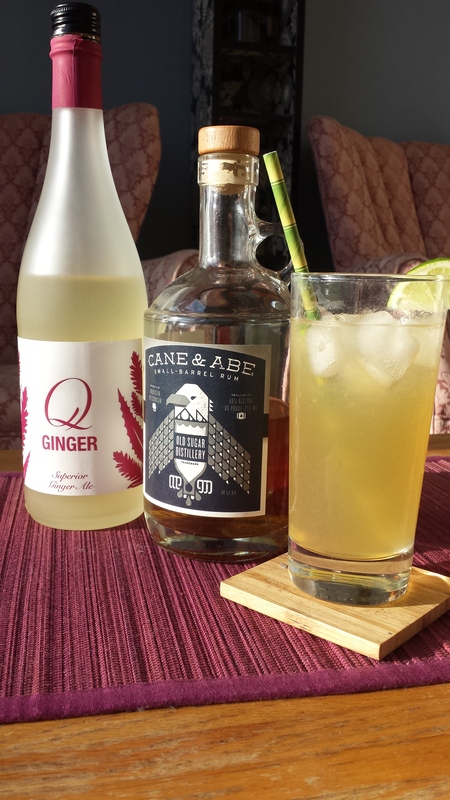 I know, I know: Q Ginger is ginger ale, not ginger beer, the latter of which is required to make a proper mule. But apparently the lines between the two have become blurred over the years, so it’s more a matter of personal taste than what’s on the label. I’ll take Q Ginger in my mule over most of the ginger beers out there, partially because it’s got nearly half the sugar of a ginger beer like Gosling’s. It also probably costs three times more than Gosling’s. Us cocktail fiends have to choose our battles, I guess. If Q Ginger is my go-to mixer, then the below version of a Dark and Stormy is my go-to cocktail of choice lately. 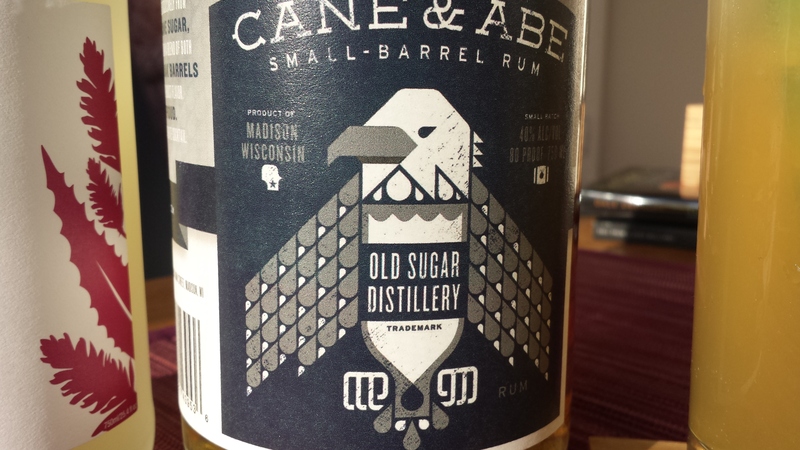 Some friends from Madison, Wisconsin, gifted me a bottle of Cane & Abe Small-Barrel Rum from Madison’s own Old Sugar Distillery. It’s smooth, oaky, and delicious on its own, as I’ve come to learn while enjoying the signature drink in the distillery’s onsite bar: the Standard. The cocktail is simply a glass of this rum served on ice and garnished with a wedge of lime, “Just like the Pirates used to drink.” It’s delicious, but absolutely deadly when you and your friends have hopes to hike later in the day. Three rounds of that will derail any proactive plans. The Dark and Stormy-ish, which pairs Cane & Abe with a hefty dose of fresh lime juice and ginger ale (or beer), is a lighter option when you want an effervescent rum drink that won’t send you into a stupor. Fill a highball glass with ice. Add the rum and lime juice and give it a quick stir. Top with Q Ginger. Garnish with a lime wedge. Simple simple! Obviously this is a Dark and Stormy-ish since we’re technically using ginger ale instead of ginger beer, but it’s also a bit off the wall with its liberal inclusion of lime juice. I think it really brightens up the drink, but you can always use less or omit it. What’s your go-to cocktail of late? I didn’t follow any recipe strictly, but I took inspiration and ideas from articles here, here, and here. Spicy flavors apparently infuse more quickly than most, so I’ll check the jalepeño tequila in a couple days. The remaining three I’ll probably let stew (with the occasional vigorous shake) for about a week. As for the bloody mary mixes, any suggestions are welcome! I’m planning on whipping up this recipe, which calls for San Marzano tomatoes and fresh horseradish—nom. Other than that, I don’t really have a favorite mass-produced bloody mix. I’d like to serve three to four different mixes, with at least one spicy variety. Stay tuned for an update on hits, misses, and fan favorites. And now, bloody mary fiends, I ask you to please ENLIGHTEN ME. What’s your go-to mix? In victory you deserve champagne. In defeat, you need it. Lore goes that these are the famous words of Napoleon Bonaparte, and apparently that little guy loved him some champers. The act of ceremonially sabering a champagne bottle is said to have begun in the Napoleonic era, during which soldiers celebrating a victory on the battlefield would use the dull side of their blades to remove the collar and cork of a bottle. But let’s get back to the booze. 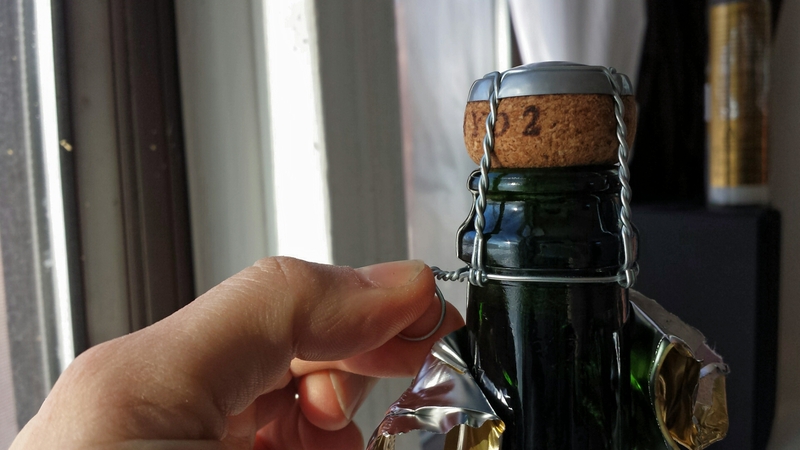 This season got me wondering: does anyone actually spring for real champagne these days? Marc picked us up a couple bottles of Trader Joe’s Blason de Bourgogne Crémant de Bourgogne, which the website describes as a sparkling wine that’s made using “exactly the same methods employed in the making of Champagne.” Full disclosure: I don’t drink a ton of champagne, or sparkling wine for that matter, so my judgment is based purely on taste. The stuff from TJ’s isn’t too sickly sweet and has a nice, subtle fruity flavor. 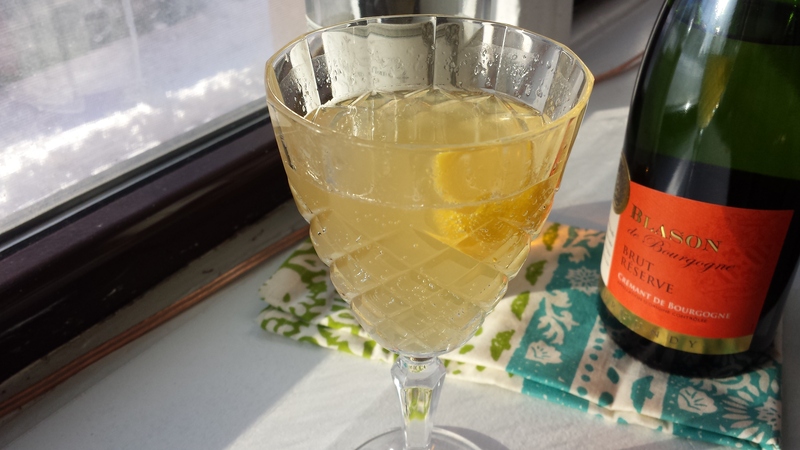 Somehow we still had a bottle leftover after New Year’s Eve, so I thought it might be fun to whip up a couple champagne Crémant de Bourgogne–based cocktails. Enjoy! 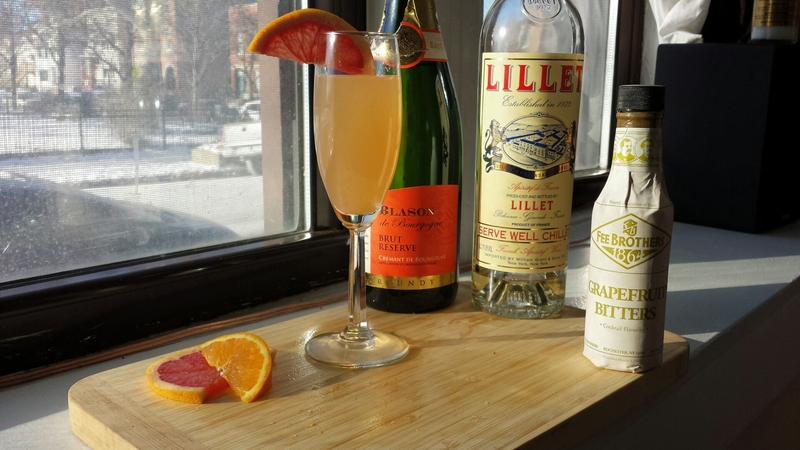 In a shaker filled with ice, mix the grapefruit juice, orange juice, Lillet, and a dash of grapefruit bitters. Stir until chilled, and pour into a flute. Top with champagne or sparkling wine. In an ice-filled shaker, combine the gin, lemon juice, and simple syrup. Shake until chilled and strain into the stemware of your choice. (I really need to buy a coupe!) Top with champagne or sparkling wine. 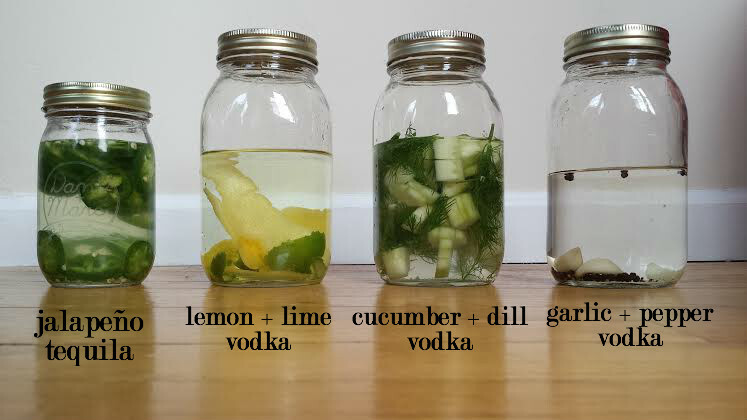 * You can make this with standard dry gin as well, but a friend of mine mixed these up with Ransom Old Tom gin before and they were delicious. 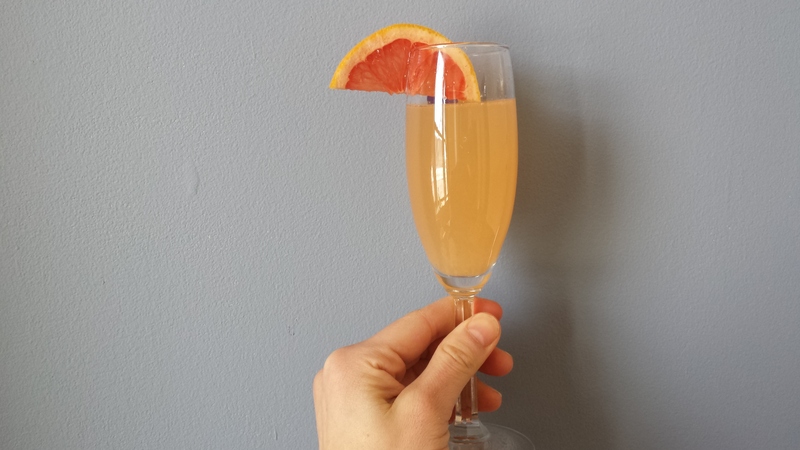 What’s your favorite champagne cocktail?